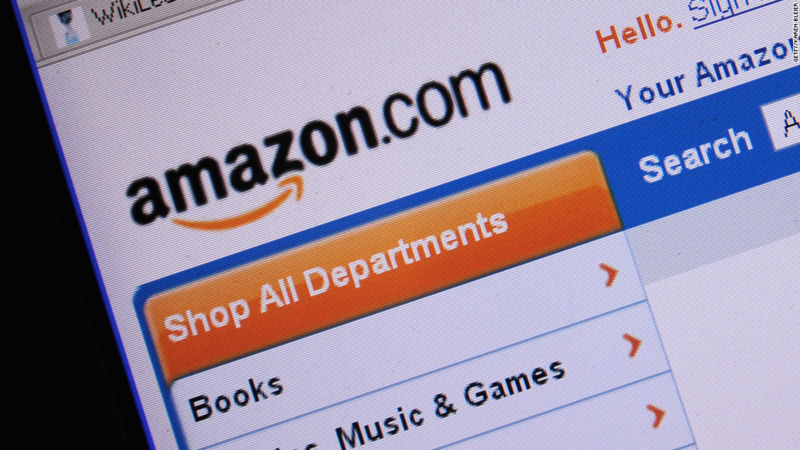 Amazon (AMZN) is bundling another benefit into its Prime program -- books. Starting Wednesday, Prime members can pick from more than 1,000 digital books, magazines, short works and comic books at no extra cost through Prime Reading. Subscribers can access reads from any Kindle or Fire tablet or on the Kindle apps for iOS and Android. The rotating selection includes "The Hobbit," "Harry Potter and the Sorcerer's Stone," "The Man In the High Castle" and magazines like Sports Illustrated, People and National Geographic Traveler. Prime membership costs $99 per year and includes unlimited free two-day shipping on many products. Prime also gives users access to Amazon's library of movies, TV episodes, music and audio books, along with unlimited photo storage. Shares of the company hit an all-time high this week, and its market value is approaching $400 billion. That puts Amazon ahead of Warren Buffett's Berkshire Hathaway (BRKA) as the fourth most valuable company in the United States after Apple (AAPL), Google's parent Alphabet (AB100MOM) and Microsoft (MSFT).